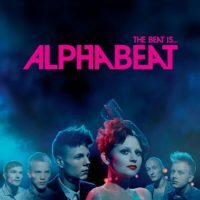 Alphabeat’s first album (This Is Alphabeat) was something of a guilty pleasure. Filled with tunes oozing with pop, they were irresistible sing-a-long songs that had dance at their heart. The Beat Is seems however, to have nosedived in the direction of the Black Eyed Peas, switching sickly sweet for synthed bass. That being said, the songs are perhaps the dance anthems of the day, still containing the signature duel vocals of Stein and Anders. Nevertheless, the lyrical content of each track seems to have been neglected, no longer containing rhyming couplets, but instead tending towards repetitive refrains. Q & A is perhaps the most similar to the Danes former album, being more simplistic in its style, but it lacks the distinction of the likes of 10,000 Nights. Meanwhile, Always With You contains Ibiza style mixes, favouring Stein on vocals, it almost guarantees it’s spot on a summer anthems compilation. Complete with an instrumental mid set, it’s trance nature makes it hard on the ears for pop fans, but will tick of the boxes for any dance orientated music lover, potentially opening up a new audience for the band. Sadly though, whilst the likes of The Spell and DJ are solid songs, the album lets itself down with the addition of Chess which is messy and uncoordinated. In fact, the whole album reads in the same way, as if their pop songs have been remixed and they’ve decided to roll with these versions, as opposed to the originals. Whilst this is favourable in some senses, it creates a less radio friendly vibe, which may see Alphabeat miss out on the mainstream market. Despite their current tour with Lady Gaga, their single Hole In My Heart has failed to jump above number 29 in the UK chart and we suspect the obvious overproduction of this album will send other singles spiralling the same way, reducing the album to a poor follow up to their gold selling Debut.